Need a great assembly idea for your school? In today’s economy when our schools are faced with budget cuts, the first programs to go are the arts programs. 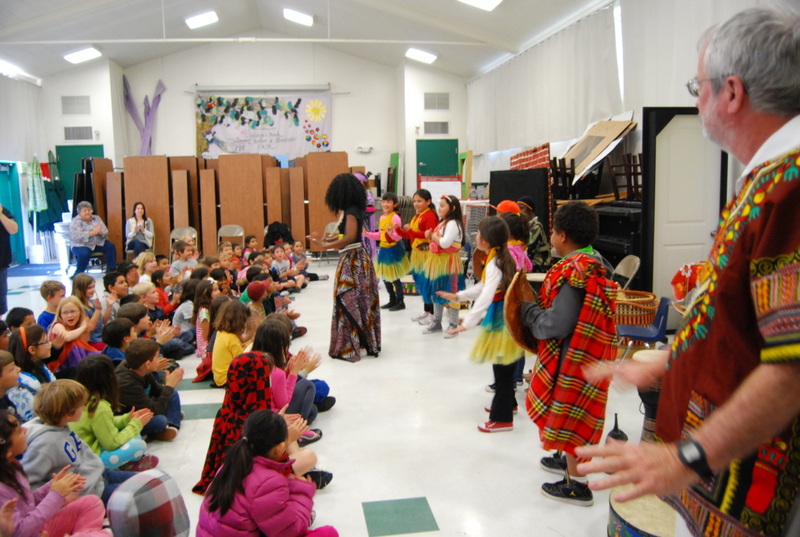 Let Cheza Nami artists come to you and expose your students to African culture through dance, music, games, wordplay and instruments with our interactive assemblies! 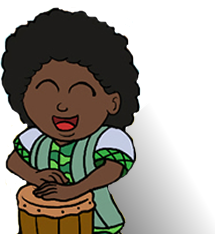 Develop general fitness, coordination, and balance as the students explore African dance and instrument play. Have an enhanced sense of cultural awareness and understanding of the concept of diversity. Suitable for K - 12 grade students. A Cheza Nami cultural assembly is generally 1 hour long with a minimum of two artists. These assemblies are high energy and require a lot of active participation from both students and teachers. A multipurpose room or a stage is the best suited room for this program, however, we are willing to work with whatever resources are available to your school. You can prepare your students for our visit by requesting our "School Assembly" kit and by visiting our Teacher resources page for class discussion ideas and lesson plans. ﻿In the lead up to the assembly, teachers are provided with a pre-visit lesson plan with materials that includes facts about Africa, music, videos, worksheets and carefully selected videos and audio from Listen for Life. 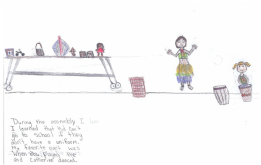 "During the assembly I learnt that a kid can't go to school if they don't have uniform. My favorite part was when Ibou played and Catherine danced" - Jessica, 11 yrs. "I would like to go to Africa. I want to hear them play all of the drums and I want to wear the jewelry. The jewelry is so pretty. They wear a lot of necklaces. I would like to wear them. I want to see some animals too. I want to see a lion. I hope I can go to Kenya"